I started this blog throughout my Law School applications process. Right around the same time I was finishing my last semester of undergrad, buying a house, moving to a different city, finishing up wedding preparations and we had a new puppy. Doesn't sound like a good time to throw blogging into the mix does it? Yeah well, it probably wasn't in hindsight but my reasons for starting a blog hold true still today. I started this blog as an outlet for thoughts, ideas and just a place to share my own unique voice. I love writing; I always have. Being able to use that in a creative way that is all my own is a nice outlet for me. It is almost therapeutic. When my family and friends get tired of me talking about London, I can blog about it and I know there is someone out there that will love to read it. There is also something so awesome about knowing that I can share my own unique thoughts with the world in just the click of a little orange "publish" button. In this great big world, I am just another blonde girl who had some horses and dogs and wants to be a lawyer. But on my blog, I am a writer, a sharer of ideas, an inspiration and a voice all my own. I find it motivating; Blogging about Law School keeps me excited about Law School. Blogging about my house gets me motivated to finish that DIY project I have been putting off. It helps to hold me accountable for all the random ideas that flow through my head and gives me a place to share them. My final reason for starting this blog was to help future law students in their roads to Law School. 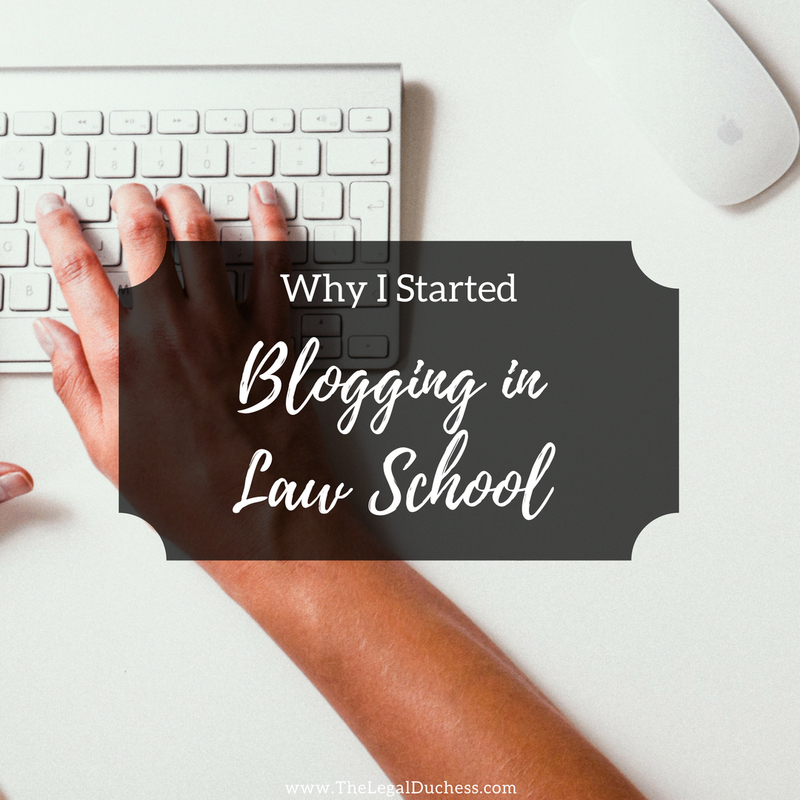 I searched the internet high and low for Law School bloggers and came up pretty empty. There were a few blogs but nothing was really giving the voice and input I was looking for. So when you can't find what you're looking for, make it yourself! I started this blog in the middle of applications and choosing a school so it is a true representation of my Law School path- from beginning to end. I hope that my voice and my experience can help some future law students to be better prepared and feel like they understand the path better than I did starting out. So there it is; my random reasons for starting this blog. It is more than just a Law School blog; it is a blog for my thoughts, ideas, projects, life lessons and for my voice to shine. I hope it makes you smile, think or at least not be bored.